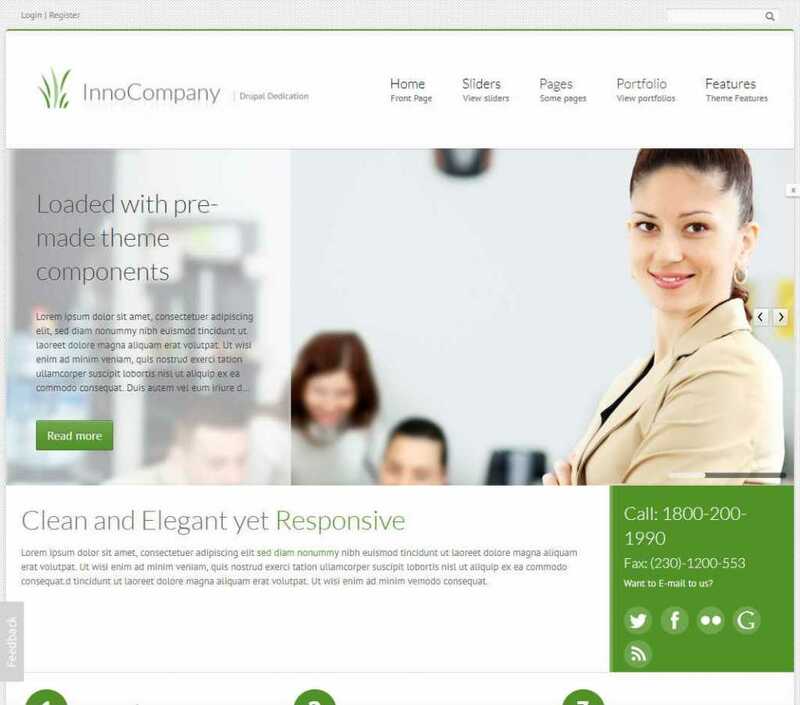 This multi-purpose corporate theme could be an excellent choice for your next business, corporate, or professional website. It comes with multiple home page variations so that you won’t have to be limited to the same design. There are lots of ready-to-use column-based structure for creating the necessary pages. InnoCompany is provided with some unique jQuery tooltips and popovers that will help you provide additional information. Choose any of the five ready-made background patterns or upload your own background. As the template supports unlimited color schemes, you are free to choose any color you want. Complete Ubercart support will make it a lot easier to integrate an online shop with your website.